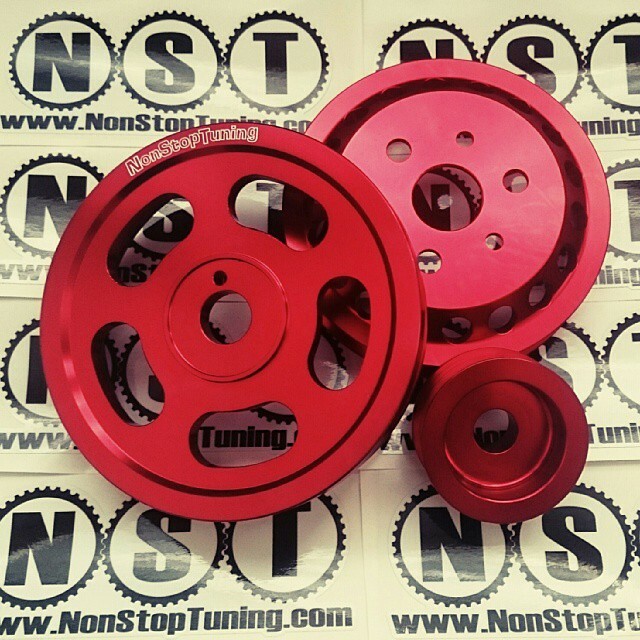 It’s no secret that NonStopTuning has offered popular lightweight pulley options for the 86 chassis. Over the past decade NST has offered more options for the Toyota family of engines found in the AE86, including the 16V/20V variations of the 4AGE and 4AGZE, than all other companies combined. Carrying that tradition forward, NST now offers a lightweight kit for the second coming of the 86 chassis and the FA20 powered Scion FRS, Subaru BRZ, and Toyota GT86. The NST Lite series is a designation used for pulleys that are light-weight versions of their OEM counterparts. All NST pulleys are built using High quality 6061-T6 aircraft aluminum and are easily 65% to 70% lighter than steel or cast iron OEM pulleys. Every NST pulley is hard anodized for exceptional durability and is a great item for use at the track or on the street. The NST CR-Lite Pulley is compatible with naturally aspirated, turbocharged, or supercharged applications, and is compatible with the OEM belt. No belt change is required when this crank pulley is used. 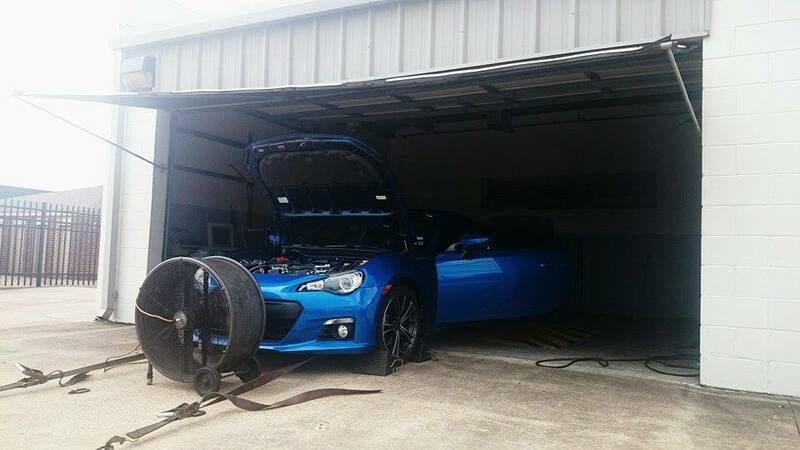 We had the opportunity to test a set of NST pulleys on a stock BRZ this week. Scott’s world rally blue pearl BRZ came to us as an otherwise unmolested test car. No previously installed performance mods of any kind would ensure that we would get the best raw data possible. The NST Pulley Kit is the only power adder that was added to this car during the session, and all dyno runs were performed on the same dyno, on the same day, at Carboy Racing in southwest Houston.